Faculty and staff are invited to the Winter Workshop on Friday, Jan. 6, beginning at 8:30 a.m. in McCaskey Lyceum, with coffee at 8. Click here to see a detailed schedule. We will be using this time to prepare for the HLC visit, with a general introductory session followed by fora focused on the five criteria, federal compliance, and the MA-MT embedded substantive change visit. All faculty and staff are asked to attend the opening session, and faculty are asked to attend the three criteria sessions that follow. Staff also are invited to attend these fora if interested or if their roles connect to the topics. Federal Compliance and MA-MT are specialized sessions for invitees only. Click here to download a PDF of the HLC publication that describes the accreditation criteria. There will be no regular edition of The Juice over Christmas Break; the next edition will be Monday, Jan. 9, when Winter Term begins. Please send your Juice items to juice@wartburg.edu by 4 p.m. Thursday, Jan. 5, to be included. If you attended any of the fall diversity and inclusion education/training events Aug. 30 and 31, please click here to take a short survey. Your response provides important input for grant reporting and continued diversity and inclusion work at Wartburg. The grant was provided through NetVUE and funded by the Council of Independent Colleges and Lilly Endowment Inc. The Wartburg Store will be open from 8 a.m. to 4:30 p.m. Dec. 19-23. Stop by and check out our great Ugly Christmas items and more! The Advancement Office will be open 8 a.m.-4:30 p.m. Wednesday, Dec. 28, through Friday, Dec. 30, and 8 a.m.-noon Saturday, Dec. 31. The south doors of Luther Hall (by the circle drive) will be open for visitors who wish to drop off year-end gifts or who need other assistance during these times. Gifts also can be made online through our website, www.wartburg.edu/devoffice. As 2016 draws to a close, we express our sincere gratitude to faculty and staff for your continued generosity and partnership in the support of Wartburg College and our students. Merry Christmas! We did it! Gifts and pledges from Wartburg faculty and staff in support of United Way increased by $1,016 this year. That means we met our goal and United Way has secured the $1,000 challenge gift offered by Mary Taylor, co-chair of this year’s local campaign. A total of 67 faculty and staff made gift commitments, including 15 new donors and eight who increased their giving from last year. Thank you for investing in Waverly and United Way. Mail delivery through Jan. 9 — Please contact the Mail Center with your office closure dates. Mail runs during the open weeks preceding the start of Winter Term will be made as staffing permits. The Mail Center will be closed Dec. 24-Jan. 2. Representatives of campus offices and departments always are welcome to come to the Mail Center during open hours to retrieve mail. New package tracking system — The Mail Center has installed a new package tracking system, which will send automatic emails when packages have been received for students, faculty, and staff. Pink slips will no longer be used. 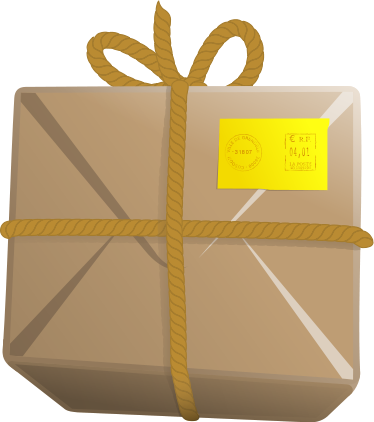 Packages placed directly in mailboxes or delivered to campus offices will cue a second “delivery” email. NO CHANGES will be made to delivery for faculty and staff, though employees always are welcome to pick up packages at the Mail Center. Contact the Mail Center at mailroom@wartburg.edu or 352-8263 with questions, and please be patient as we learn the new system! As President Colson shared this fall, the college needs to identify $1.3 million in revenue enhancements and expense savings, with implementation occurring in the coming two years. The issues were discussed during informational budget meetings open to all faculty and staff (presentation available here). Answers to questions asked during those meetings are available here. If you have additional ideas for new or enhanced revenues or expense savings, please share these ideas with your department head. If you prefer to remain anonymous, you can submit your ideas here. Ideas would be most helpful before Jan. 6, 2017. Click here to read more about the budget on the InfoCenter. Please click here to download a list of the hours for the campus dining areas over Christmas Break. Please remind students that an incomplete grade is not valid unless it is supported by a Student Request for Incomplete Grade Form. The completion of the form should be initiated by the student to confirm that the student and instructor have been in communication regarding the incomplete grade policy. The form is available on My Wartburg or in the Registrar’s Office. Any incomplete grade submitted by the instructor without support of the form will be changed to any “F.” Please refer students to the incomplete grade definition in the 2016-17 academic catalog, which can be accessed online. Incomplete grades should only be issued for students who are passing the course when final grades are due. With permission from the Registrar, instructors can complete the form for a student whose circumstances prevent them from submitting the form. Please note that the form is encouraged, but not required, for internships, field experiences, or Venture Education courses. The contributions of the Rev. Larry '66 and Lois Trachte '66 were recognized at the college’s December Commencement on Dec. 11 when the two were awarded Wartburg Medals. Larry is a Wartburg professor emeritus of religion, while Lois was a teacher in the Tripoli Community Schools and worked in Wartburg's Pathways Center. Larry also delivered the keynote commencement address. Click here to read more about the Trachtes. In the spirit of the Wartburg College mission statement, Student Senate annually funds two $500 scholarships for Wartburg students. These scholarships will be given to two students, not required to be involved in Senate, in their second or third year who embody the principles set forth in the mission statement. The scholarship selection committee will seek well‑rounded students who exhibit leadership and service through their involvement on and/or off campus. Applications and reference forms are due to kathy.dreesman@wartburg.edu by 3 p.m. Monday, Jan. 30, and can be found at this website. At the fall conference of the Midwest Association of Student Financial Aid Administrators (MASFAA), Sassman received the State Leadership Award, which is given annually to recognize the outstanding leadership of a member from each of the nine states within MASFAA. She also was part of the Committee of the Year for her work with the Regional Conference Program Committee. At the fall conference of the Iowa Association of Student Financial Aid Administrators, Sassman was recognized as the individual from the state who held the most national professional credentials. President Darrel Colson was one of several area leaders discussing education and transition plans with Gov. Terry Branstad, who is expected to be named the U.S. Ambassador to China in 2017, as reported by KWWL. The Des Moines Urban Studies Program's partnership with the University of Iowa's new Internship Village was featured in the Des Moines Business Record. Lamont Muhammad ’06 told the Waterloo-Cedar Falls Courier that the premise for his book, "I Am," was developed as a student at Wartburg. Seth Hestness ’18 will represent the U.S. and Wartburg College on Team Stars and Stripes in the eighth annual Tazón De Estrellas, as reported by the American Football International Review. Katie Sommer ’18 was named of the top 10 point guards in the DIII athletics by d3hoops.com. The wrestling team will be tested as one of six ranked teams at the Candlewood Suites Duals, as reported by TrackWrestling.com.